Absolutly perfect for my grandniece Talia. old. 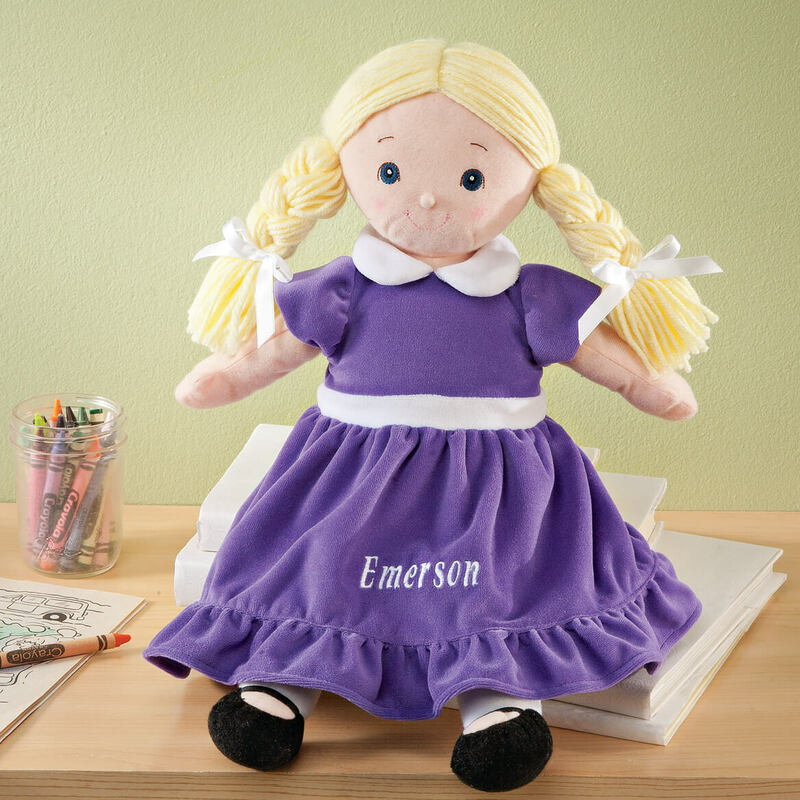 Every little girl deserves a beautiful rag doll with her name on it. Special, wouldn't you agree. Our granddaughters loved their dolls. They are going to place them on their beds for all to see.They loved that their names were on the dresses and each had their birth month color for the dresses.Perfect gift for the girls ! My Mom loved it. I seen it and just had to order it. This was beautiful, my Mom loved it and I am so happy with the product. My Mom collects dolls, but she didn't have one with her birthstone and plus her name on the dress. Loved loved loved it. Thanks so much. It is a first doll Christmas present for my 15 month old grand daughter. 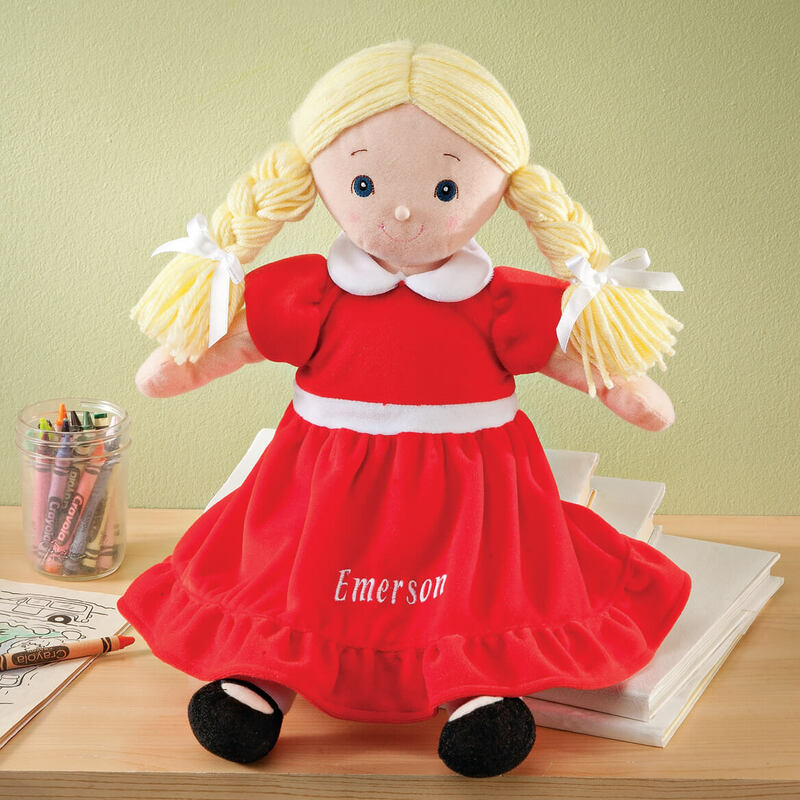 My daughter saw it and loved it so now I am ordering one for my 7 year old granddaughter. 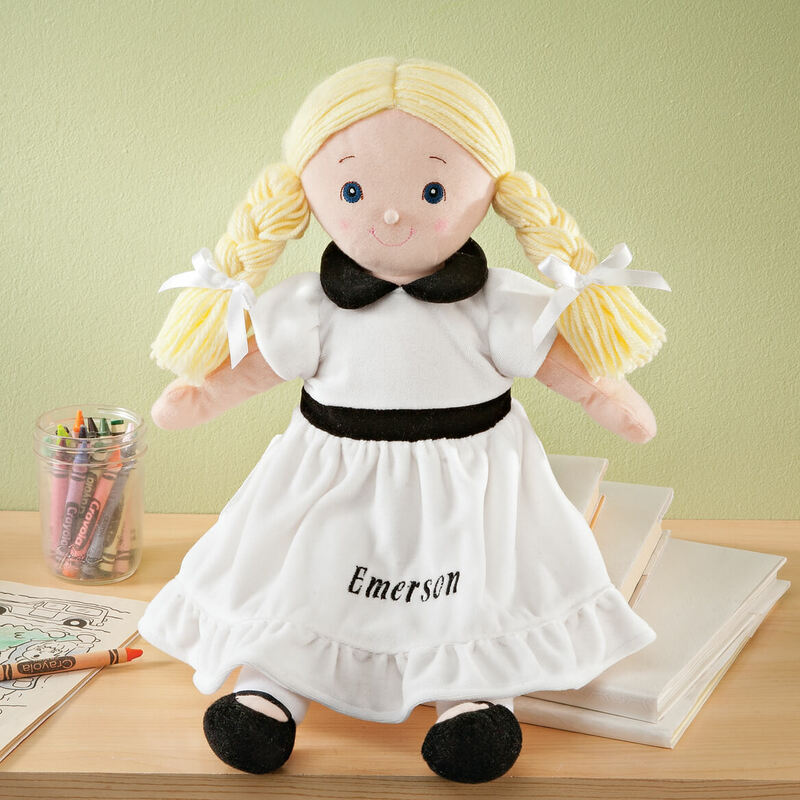 The doll is adorable in its simplicity but add the birthstone dress and personalized name and it is the perfect gift. This was the perfect gift for my granddaughters birthday. As I said a perfect gift for my granddaughters birthday in March. I have a great niece and she is 14 months old and I thing it would be perfect for her. I was able to personalized it with my sister's name. My oldest daughter has one similar to this and they are so incredibly soft. It is her favorite doll to sleep with. Have 2 great granddaughters and they will love theses as Christmas gifts. Its for my niece and her birthday is in December, she will be 2 years old. So thought it would be so cute for her at this age. For my Swedish girlfriend's daughter. For a baby girl's half-birthday. I thought it was an adorable keepsake for her! 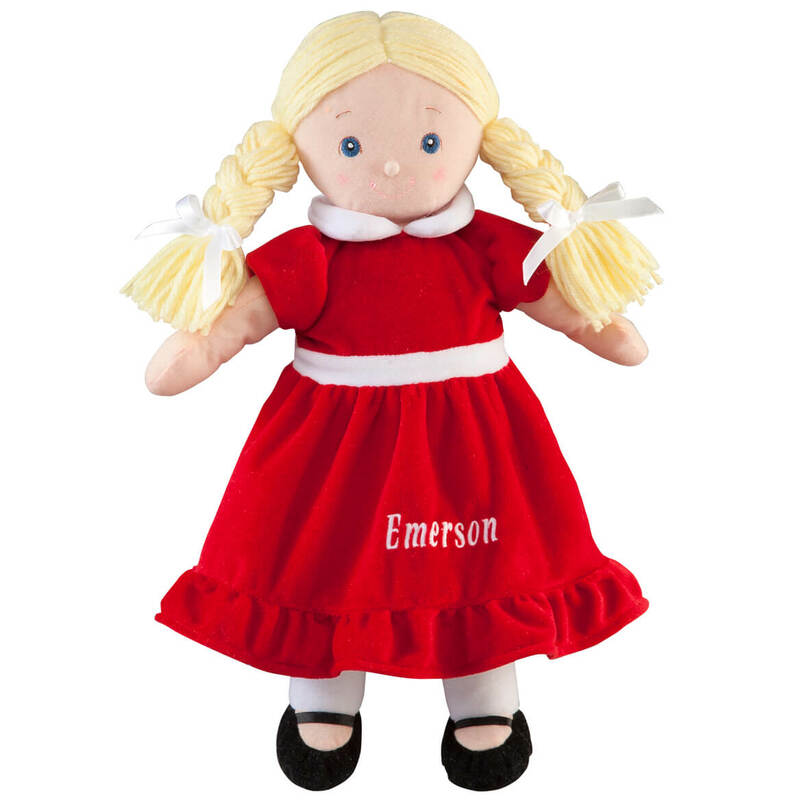 My granddaughters (ages 1year to 6 years) loved these dolls for two reasons: their name was on it and it's dress was their birthstone. They are also a great size and durable. The girls carried their doll around and all day and was the doll of choice to sleep with. Their was no fighting over wanting the other one's doll. i love the fact it will have my granddaughter's name on it .. 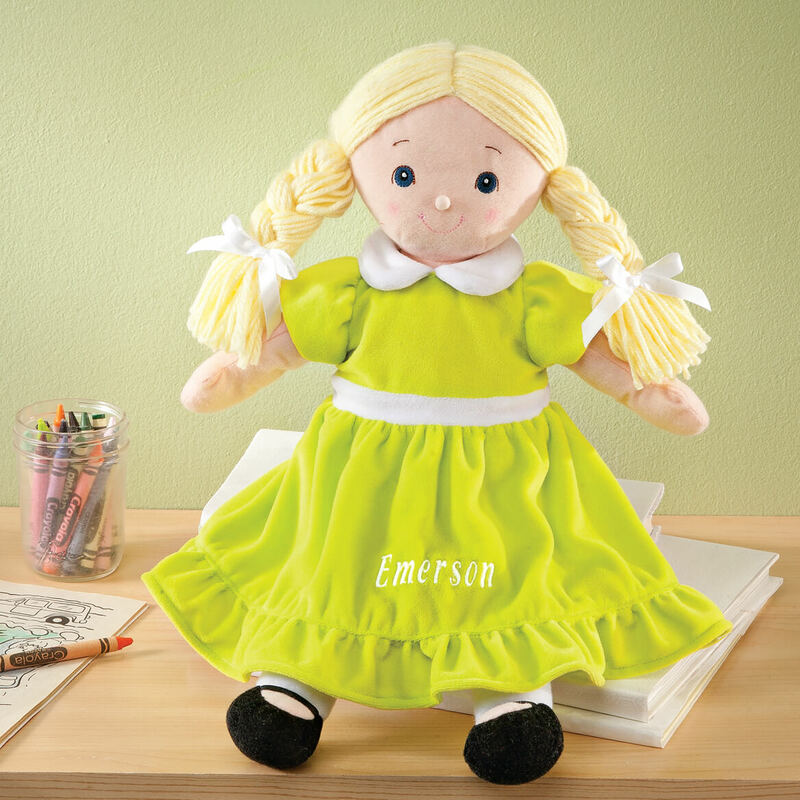 I ordered two of these birthstone dolls and plan to give one to our seven year old granddaughter and the other for our sixteen year old granddaughter who has cerebral palsy and will love a cuddly doll. 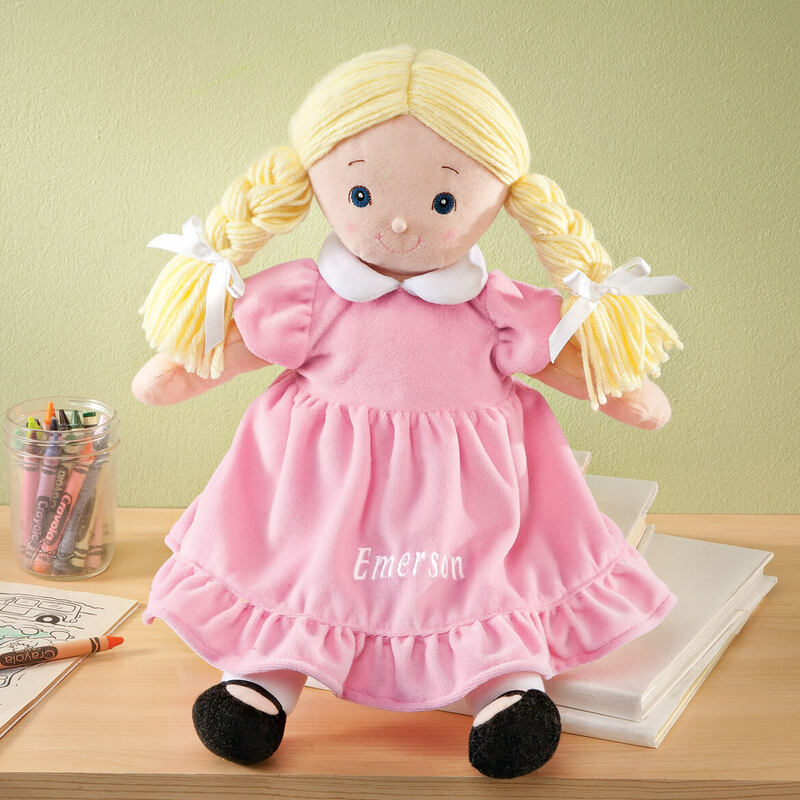 I chose this for my grand daughter and niece.. One has my name on it so my grand daughter and I can be friends.. It fits my needs for the birthday coming up. 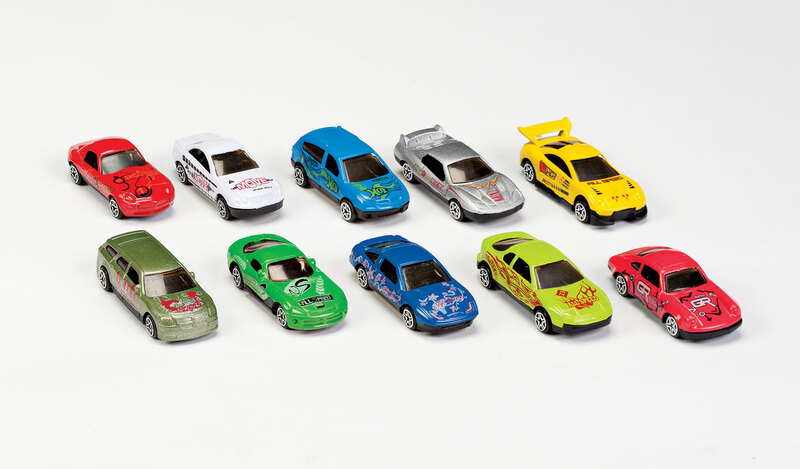 Best selection I found for what I was looking for. day & she 's only going to be 2, so I thought this would be a cute doll for her to have. Don' t have to worry about small pieces, looks soft & huggable. Second one (both for me) because they are very nice. NOW A THIRD ONE (ALL FOR ME). tHEY ARE VERY NICE. aDD JEWELERY, EARRINGS, ETC. NAMED FOR MY THREE SISTERS. For my Mom. 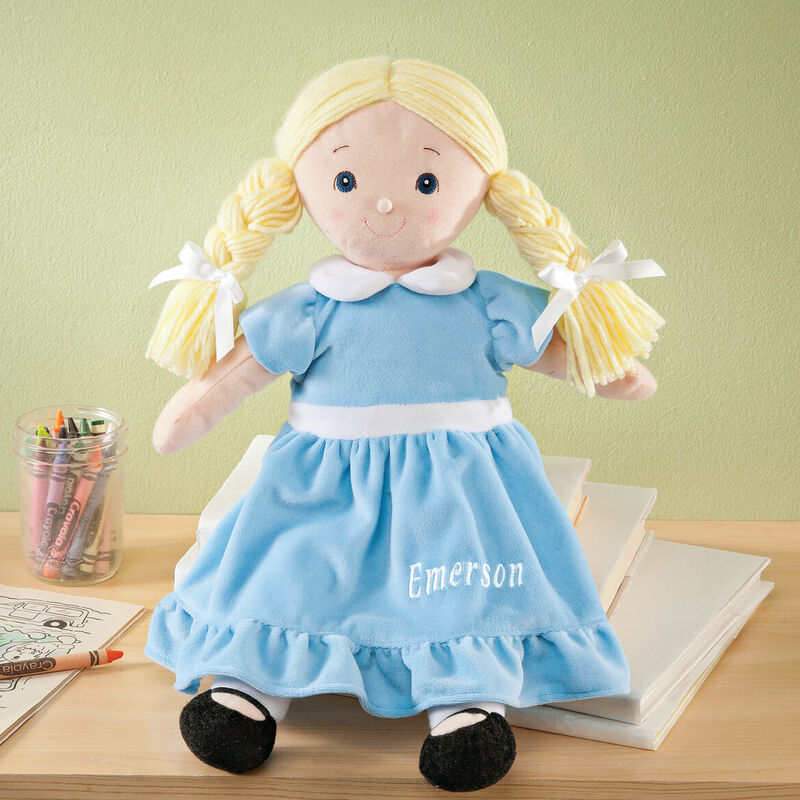 She loves dolls and she has blonde hair and blue eyes. 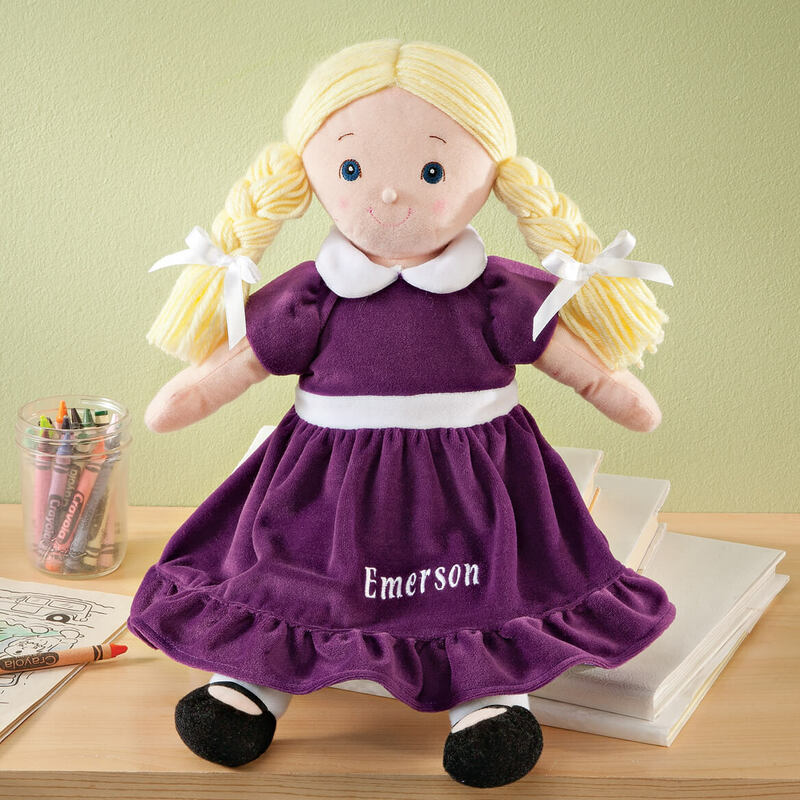 "I picked these dolls for big sister and little sister gifts as the new baby is due in March"
Cute idea for my great nieces, especially with their names on them. 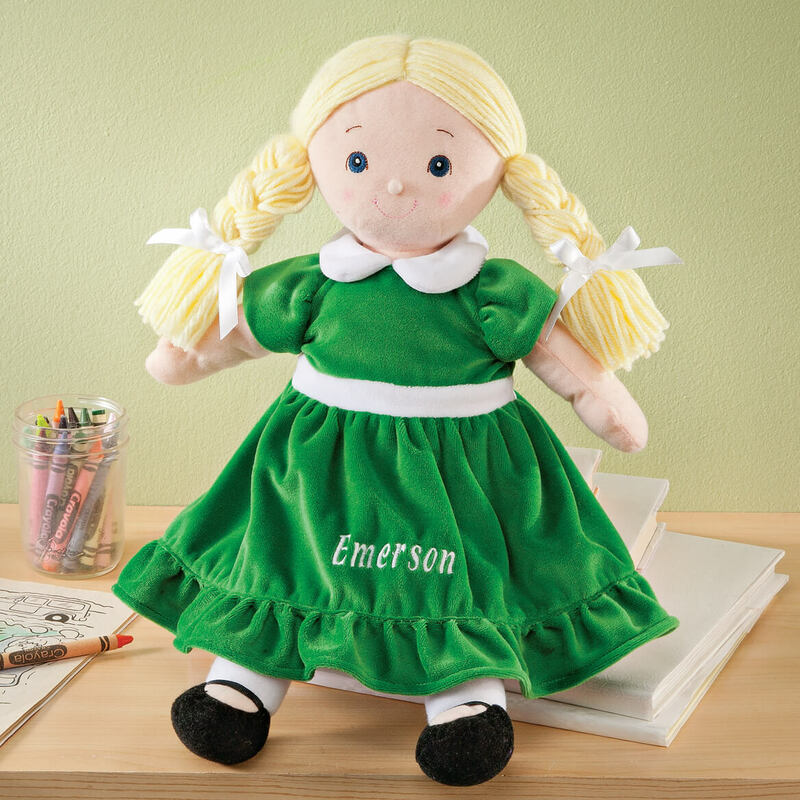 I like personalized products for small children because it is a learning aide to spelling their name. 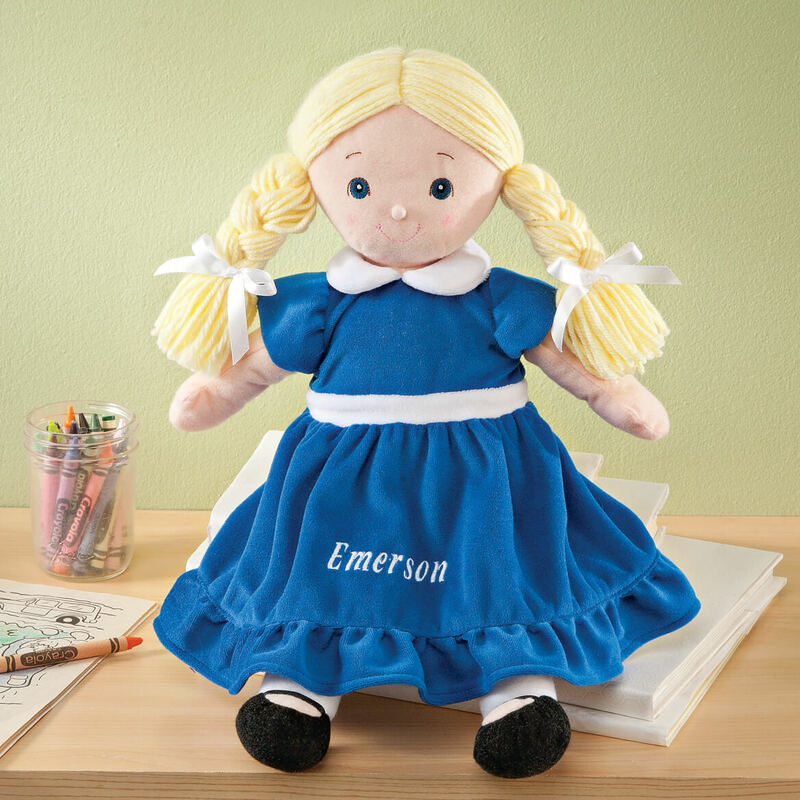 Little girls love to see their name and birthstone color on toys especially dolls. 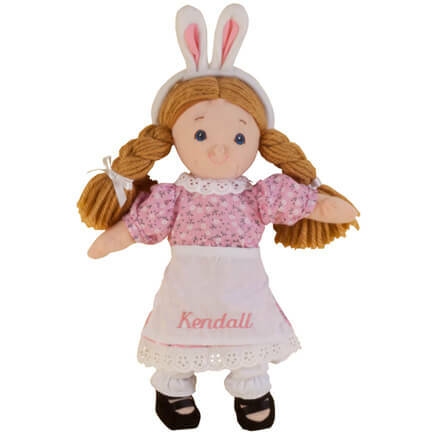 This doll was a big hit with my great granddaughters. My 5 year old niece's birthday. My grandbaby's first doll and I was impressed by the favorable comments. What does the October doll look like? BEST ANSWER: Thank you for your question. The Pink dress is the dress for October. We hope this information will be of help to you. What month is the purple dress for? Thank you for your question. The purple dress is for February. We hope this information will be of help to you. Does the package state birthstone doll? BEST ANSWER: I don't remember specifically; but the doll is darling & my niece just loved getting it as a gift. 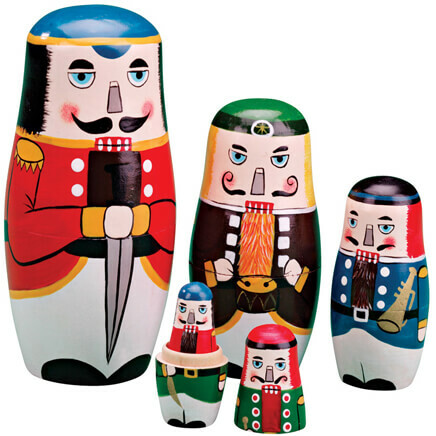 Are dolls/toys made in the USA? BEST ANSWER: Thank you for your question. The doll is made in China. We hope this information will be of help to you. 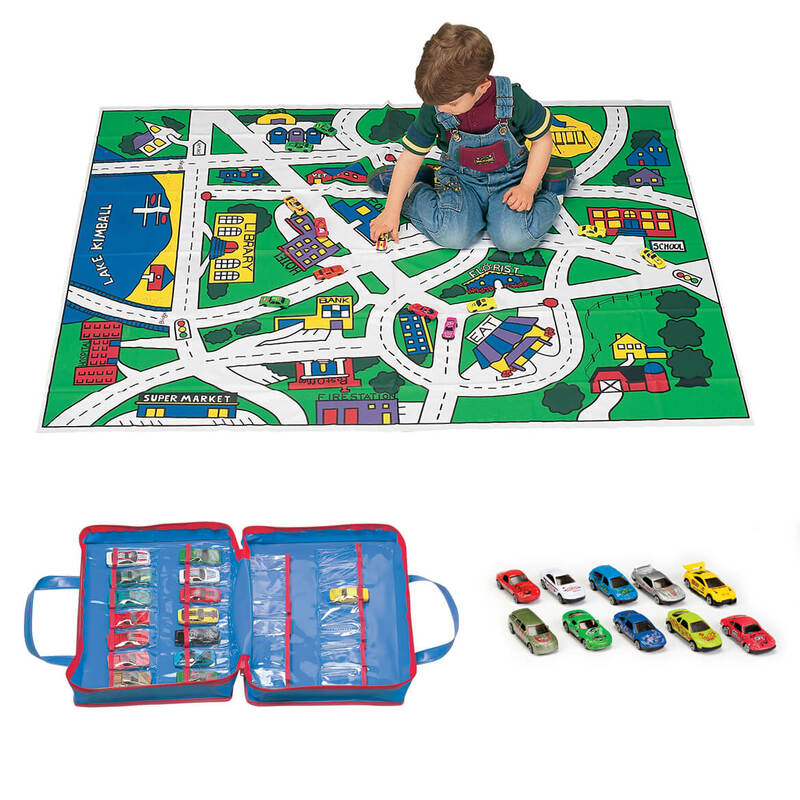 Is rthe red doll January a Blue one shows in the shopping cart on check out. 352915? BEST ANSWER: Thank you for your question. January will be red on her dress. We hope this information will be of help to you.